Two years ago, the Rupp family said goodbye to their 18-year-old daughter, Hannah, who unexpectedly went home to Heaven. If you were to walk around their house today, you would see scriptures written out on little sheets of paper next to family pictures all over the house. People who knew her say there was always something different about Hannah. Even at a young age her passion inspired many. Hannah was deeply impacted by Kisses From Katie, and had every intention to give her life away to teaching children, missions, and the gospel. Two years after her death, Hannah’s parents believe there’s no better way to celebrate God’s work in their daughter’s life than to invite friends and family to share in Hanna’s passion for supporting those in need. 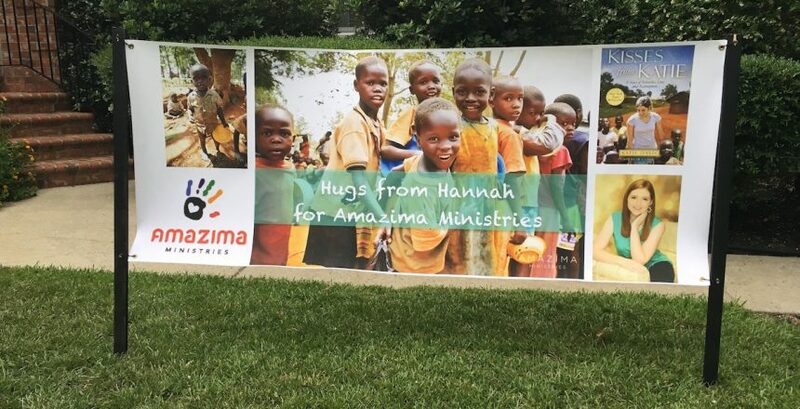 On July 15th, over 100 friends and family members gathered for the second annual “Hugs From Hannah for Amazima Ministries” event. Guests were asked to give a gift towards women, children, and families in Uganda. We are humbled by the Rupp family, and by so many others who have come alongside Amazima Ministries over the years. Life is but a vapor, but the word of God is eternal. Thank you for allowing Amazima to sow the word of God in Uganda for eight years!